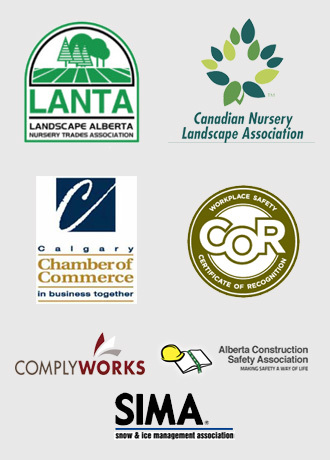 When it comes to commercial landscaping in Calgary, experience makes a major difference, and that’s where the Mirage Landscaping team has an edge. For three generations, the family-run hard-working pros at Mirage Landscaping have been providing businesses and homeowners alike with efficient and expert design and landscaping services. As you can see in our portfolio, we specialize in serving Calgary’s southeast neighbourhoods, beautifying both commercial and residential properties, boosting their curb appeal and supporting premium resale values. More customers. Professionally maintained properties are more inviting to customers, and also convey a strong sense of competence and responsibility. Our crew helps your business project the kind of positive values that customers respond to. Increased productivity and employee satisfaction. Keeping your commercial property looking nice and neat helps employees feel valued and more satisfied; even small touches like landscaped lunch and break areas can make a big difference during the work day. Reduced crime. Thieves and criminals tend to think twice before striking at a well-maintained commercial property, since groomed grounds suggest that someone visits regularly and could show up at any time. Our team is happy to act as a set of extra eyes and ears for your business, and we can alert you to any potential crime risks that we detect as we provide you with year-round service. Superior safety levels for visitors. Landscaped and professionally maintained properties are safer for customers and visitors, and that reduces your risk for liabilities caused by incidents like trip and fall injuries. During the winter, our snow removal crew will make prompt visits, getting rid of accumulated ice and snow and helping keep your premises safe and your doors open for business. Mirage Landscaping is fully insured, and if you’re undertaking a property improvement project, we can help you get the right permits quickly and easily. We’ve also got the manpower to handle even the biggest jobs, so you can be fully confident that our services will come through for you, time and time again. If you’re looking to redesign or spruce up your commercial property’s exterior with updated landscaping, our team’s extensive expertise is a great thing to have on your side. We work side-by-side with our customers to generate design ideas and plans that you’ll love, and we keep you fully involved during all phases of construction. Thanks to our many years of experience, we can confidently create and execute highly intricate and complex designs. Of course, we’re equally adept at putting together simple yet attractive landscape features like walkways, patios and retaining walls, so no matter what you need, you can count on us to do a fantastic job. 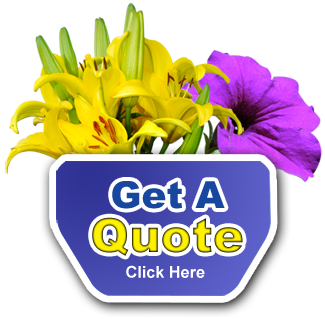 We provide accurate, no-obligation quotes for customized service packages, so no matter what you need, we’ll ensure it fits in your budget. Get started today by filling out our online request form to let us know what you’re looking for, and a member of our customer service team will get in touch with you promptly to deliver a quote.